In late 1990, Albania began to tear down the wall of its communist regime that had plunged a nation into poverty for more than forty-five years and begun to replace its weak dictatorial leadership with a new generation of politicians. Even though Albania was the last country to crush the iron curtain and experience the beginning of a new political establishment, that of a transitional democracy; Tirana’s newly formed government pursued a more vibrant strategy towards its bilateral relations with Turkey. Astonishingly, relations between both countries have been very positive and steady during Enver Hoxha’s dictatorship, especially in 1965 when Albania felt threatened by Yugoslavia, it heavily depended on allied countries like Turkey. Albania’s relations with Turkey greatly improved especially after the Sino – Albanian split of 1978, when Enver Hoxha was cautious to open his country with the rest of the world and stubbornly ignored repeated invitations from the United States and other western European democratic governments to re-establish diplomatic ties and strengthen his country’s economy. In 1988, Albanian leader Ramiz Alia welcomed in Tirana the Turkish Foreign Minister Mesut Yilmaz, who was one of the few members of the Turkish government to visit Tirana since the founding of AlbanianRepublic in January, 1946. The official visit of minister Yilmaz, gave a new dimension to Ankara’s bilateral relations with Tirana and further strengthened the ties of partnership which at that time consisted only in political, cultural and diplomatic relations. In June 1991 Turkish Prime Minister Sulejman Demirel visited Albania and signed an agreement of bilateral friendship and cooperation with his counterparts. In April 9th, 1992 Dr. Sali Berisha was elected as the first president of democratic Albania. His election helped to further reinvigorate Albanian – Turkish partnership which had received additional support from the United States, the latter would further encourage strategic military relations between both aforementioned countries. President Sali Berisha’s government was eager to strengthen its ties, it had no time to lose, Albania moved promptly in order to develop a stronger political, military and economic cooperation with Turkey. Under the leadership of President Berisha, bilateral relations were intensified and the first ministerial meeting of both governments was held in Ankara, on July 24th, 1992 in which the two nations signed a comprehensive agreement on defense cooperation. According to the Turkish Defense Minister Mr. Nevzat Ayaz “this agreement focused on broadening bilateral cooperation, in the areas of military education and technology.” In his first official visit to Turkey, Albanian Defense Minister, Safet Zhulali, was invited to visit Turkish military bases, factories and command posts, that were open only to NATO officials. 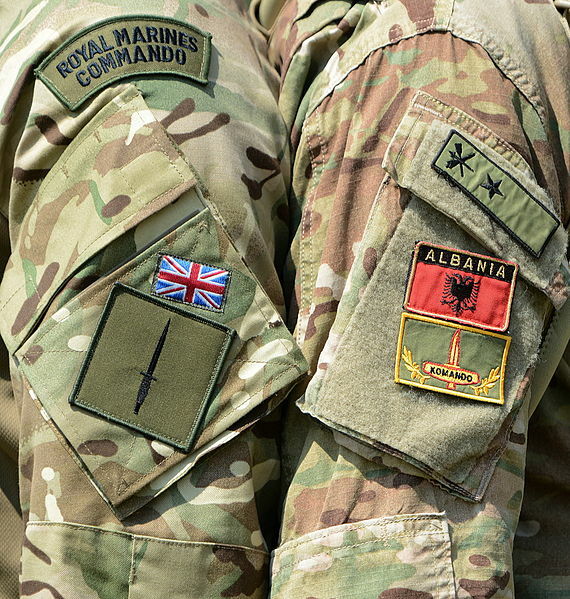 At this time Albania was a member of the North Atlantic Cooperation Council and Minister Zhulali was perhaps the only defense minister representing a non NATO member country to visit these sensitive sites of Turkish armed forces. Almost a month later, on August 28th, 1992, the Turkish Gearing Class destroyer, TCG Mareşal Fevzi Çakmak, paid a visit to the Albanian port of Durrës, the first visit of a Turkish naval ship since the Ottoman Empire. In November 18th, Albanian ministry of Defense was visited by high ranking Turkish generals, who discussed a long range of military issues with their Albanian colleagues. Defense cooperation between Albania and Turkey would find an enormous support by NATO Alliance. Indeed, in the 1990s Turkey would play a tremendous role to help consolidate the democratic institutions of Albania, in addition to strengthening bilateral defense cooperation under the frame work of NATO alliance. Albania emerged as a key component of Turkey’s geopolitical strategy in South Eastern Europe and the latter would use Albanian territory to monitor the new military developments and arsenal improvements of its traditional rival, Greece. As Joseph Nye, former chairman of the U.S. national intelligence Council rightfully affirmed in 1994 that “Albania had become one of the pillars of stability in the Balkans.” The presence of Turkish military advisers, private corporations and political support in Albania, would make Ankara become a regional player that would try to complement a power vacuum that emerged after the disintegration of USSR. Ankara’s strategic relations with Tirana, secured a fragile peace in the Balkans, and prevented Albania from taking part in the regional conflicts of former Yugoslavia. Turkey kept a consistent strategy towards Albania, and became involved in regional affairs only when it was necessary. President Özal’s real-politic and foreign policy approach continued to stay in place throughout the 1990s; in fact it was a slightly different approach compared to Turkey’s traditional foreign Policy in early years. The tradition of bilateral relations between Albania and Turkey was further strengthened once Turkish President Turgut Özal paid an official visit to Albania and addressed the National Assembly in 1993. Mr. Özal had expressed an interest to sign a fifteen year economic agreement with Albania that would cover a wide area of cooperation from infrastructure projects to military assistance and growth of tourism industry. Additionally, President Özal “convinced President Berisha to recognize the new independent state of Macedonia (FYROM), with the conviction that improvement of relations between the two countries would make the Balkans a more peaceful region. Tirana was later visited by Turkish Prime Minister Süleyman Demirel who signed the strategic Agreement on Friendship and Cooperation and assured his Albanian colleagues that Turkey was committed to provide USD50 million in humanitarian and logistical assistance to Albania. In 1992, Turkish government also granted USD29 million in the form of food, technology and towards Albania’s economic revitalization efforts. 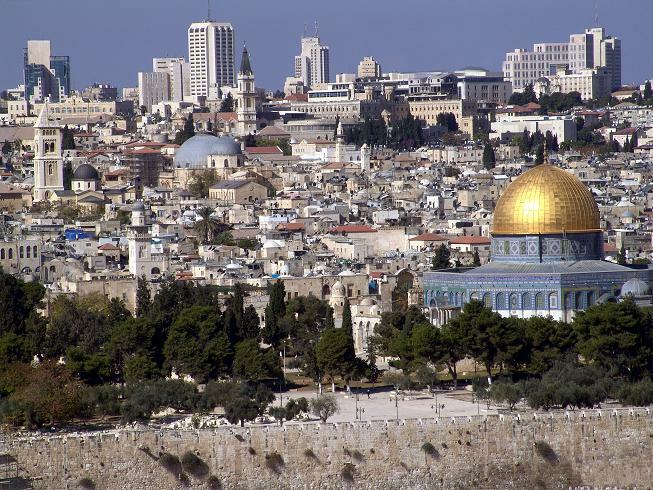 In the same time, the two countries also signed a public cooperation protocol. Albanian officials were eager to further strengthen a multidimensional partnership with Turkey and came up with a list of items which had to be addressed appropriately on their official meetings. Albanian officials noted the importance of having a good coordination of bilateral agreements, and drawing a long term relationship road map between both countries. Tirana’s concerns were addressed during President Özal’s visit in February 1993, in Albania and President Berisha’s visit to Turkey two months later. At the end of 1993, Albanian Prime Minister Alexander Meksi visited Turkey, the following year President Berisha visited Turkey with an airplane supplied by then President Demirel. Berisha’s primary request was to secure Turkey’s continued support to his country’s weak economic situation and provide assistance on matters of national security and the fight against organized crime. During this visit, Berisha signed three bilateral agreements in economic, trade and military affairs. 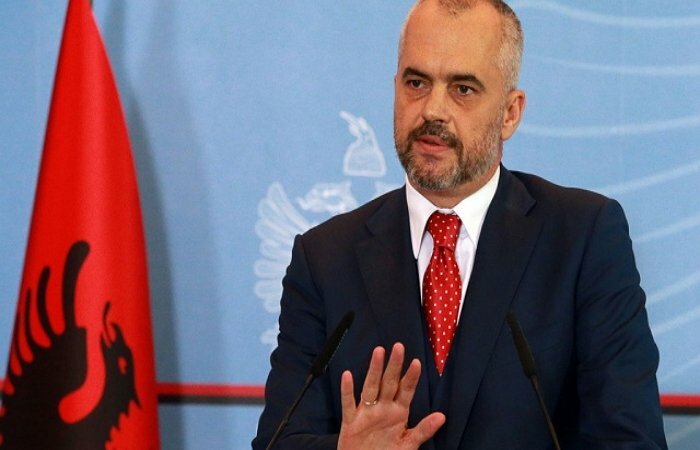 Albanian President requested Turkey’s support for his country’s membership into NATO and called for a peaceful settlement on Kosovo’s issue and to provide protection to its people who were violated and killed by Serbian forces. Financial assistance was also included into the agenda of meetings, Berisha supported the idea of establishing a common bank in order to develop banking capacities in Albania. 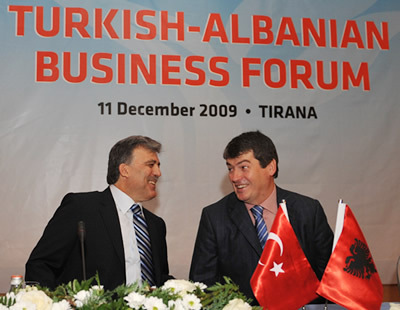 He also invited Turkish investors to explore the opportunities that Albania has to offer. Berisha’s concerns on Albania’s tense relations with Greece were also in the center of discussions with his Turkish Counterparts. Mr. Berisha was seeking support from Ankara and presaged a remarkable progress of bilateral relations between Albania and Turkey, by underlining the most salient items of an ever growing bilateral agenda that certainly was mutually beneficial. These amiable relations have yielded revenue in many economic and industrial areas where both countries have their respective weaknesses and strengths. Foreign Policy Association Expert, Marco Vicenzino, noted that: “Turkey’s historic growth was inevitable, particularly when considering its physical size and population. The main question was when Turkey would fulfill its natural leadership role in the region. Its time had arrived. Now it must proceed responsibly…Turkey has been skillfully filling the void left by other regional players.” Interestingly enough Turkey continues until today to provide an exemplary leadership role in the region, always in concordance with NATO’s strategic plans for Albania, even more so after April 1st, 2009 when Albania became a full member of NATO. In the second half of 1990s, Turkey had further committed itself to provide a monetary assistance to Albanian armed forces with more than 60 million USD. Turkey continued to provide support to Albania in many levels and sectors, until Tirana would become a full member of NATO. In June 1999, Serbia (FYR) reached an agreement with NATO. UN established an advisory group with representatives from Russia, China, Greece, Holland and Turkey. In addition, Turkey deployed 1.000 troops, to be under the command of Kosovo Forces, in the village of Sharrë, municipality of Prizren, an area with a Turkish minority presence. Turkish forces were serving with a mandate of UN Security Council. After the withdrawal of NATO Forces Turkish forces continued to play a vital role towards building the postwar institutions of Kosovo’s government. During the war, Turkey hosted more than one thousand Kosovar refugees reaching a total of eight thousand refugees when the war ended. From Macedonia there were airlifted over 2500 refugees and sheltered in the province of Kirklareli near the Turkish-Bulgarian border, in refugee camps. Another 5,500 Kosovar refugees had been traveling to Turkey by road as the conflict was heating up. On July 14, 1998, Turkish President Sulejman Demirel begun a two-day official visit to Albania, invited by the second president of Albania, Dr. Rexhep Meidani. President Demirel was accompanied by state minister Setkiner, Foreign Minister Ismail Cem, Minister of Labor and Social Welfare Iami Cagan, Chairman of Foreign relations Committee, in the Turkish Assembly, other leaders of different Turkish institutions, members of the business community and representatives of Turkish media. On the second day of his visit in Tirana, Sulejman Demirel, stated before members of Albanian parliament that “Turkey will always be close to Albania in case of need. The objective of this visit is to publicly declare that 65 million Turks are close to the Albanian people.” President Demirel articulated these remarks as the war of Kosovo was imminent and the international community, particularly NATO, was left with the last resort, the use of a military force against Milosevic’s war machine. In his meeting with President Demirel, Albanian Assembly Speaker, Mr. Skender Gjinushi, noted that “Albanian Assembly and all political parties, despite their program differences, they all want to strengthen bilateral ties with Turkish government. Mr. Gjinushi stated that “regional integration is impossible if national challenges are not resolved first…Kosovo is in armed conflict and we believe in a peaceful solution to this bloody stalemate and Dayton accords can be used as a model in order to guarantee a solution and preserve peace in Kosovo.” Albanian Assembly speaker agreed with Turkish President that Bosnia’s tragic war definitely should not be repeated in Kosovo. On the Occasion of President Demirel visit, President Rexhep Meidani hosted an official dinner to his honor, and in his speech, Meidani, emphasized the importance of Albania’s relations with Turkey and noted the regional stability that has been constantly promoted by Turkish Leadership. The Albanian Telegraphic Agency signed a memorandum of cooperation with the Anatolu Ajans (AA) Turkish news agency. Under the presence of both presidents, this agreement demonstrated once more, the willingness of both parties to collaborate in the area of information and news release as well as staff training and assistance to guest news correspondents from Albania and Turkey respectively. Additionally, the national TV channel in Tirana signs an agreement with the Turkish TV channel ARD, which included a series of provisions related to the exchange of programs, experience and furnishing logistical equipment to Albanian TV infrastructure. Thanks to this agreement Albanian TV Channel was equipped by Turkish counterparts with the latest technology and supplies. The promotion of bilateral trade and economic cooperation was the focus of an extensive meeting in Tirana between Turkish and Albanian businessmen, where both presidents participated. President Demirel showed his confidence that Albania’s excellent relations with Turkey will be reflected very soon in the expansion of trade and investment relations between both countries. These exceptional ties made possible an increase of Turkish investments in Albania on food production, mining, steel production and public works projects. President Meidani said that he was convinced that the two governments would provide new possibilities to stimulate bilateral economic cooperation and especially guarantee an active participation of Turkish capital in the strategic privatization sector of Albanian economy and tourism infrastructure development. In February 28-29, 2000, Turkish Prime Minister Bulent Eçevit paid an official visit to Albania and met with Albanian Prime Minister Ilir Meta. Turkish government had played a tremendous role in Kosovo’s War of Independence, 1999. Under the NATO Alliance, the Turkish air force supplied 18 fighter jets and conducted surveillance operations over the Serbian Airspace. 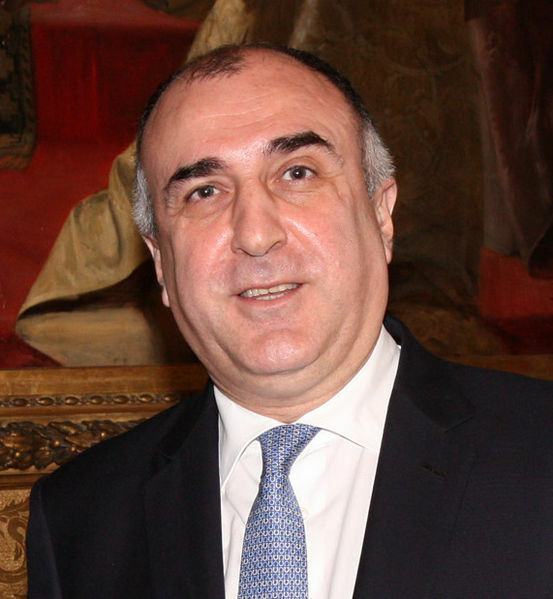 Prime Minister Eçevit expressed his concerns on the brutal treatment of Turkish minorities by Serbian forces during the Kosovo war of liberation and requested that the rights of Turkish minority in Kosovo be respected that allows them to speak and learn their mother tongue in public schools. In 1999, during the war, Turkish government had repeatedly called its Turkish minority in Southern Kosovo, to stay calm and not to abandon their homes and businesses in Kosovo. Mr. Eçevit’s official visit was ten months after President Demirel’s first visit to Albania. President Demirel conducted his second visit to Albania in May 10th, 2000, together with PM Eçevit, has made a lasting impact in the friendly relations between both countries. Demirel’s policy towards Albania has been strictly following by his successors and the first decade of the XXI century demonstrated excellent relations between both countries. Turkish foreign policy is expected to stay on course and further improve its relations with Albania. Such a pattern certainly will continue in the upcoming years and decades that will indeed bring new challenges and hurdles. On the other hand, one of the founding fathers of Independent Albania in November 28th, 1912, Ismail Qemali, had served as the Speaker of Turkish National Assembly, Secretary General of Turkish Foreign Ministry and Turkey’s Minister of the Interior. Turgut Özal, born in Malatya, Turkey in October 13, 1927 and died in April 17, 1993; served as Undersecretary of the government of Suleyman Demirel, when he was Prime Minister, 1983-1989, transformed and further developed the Turkish Economy by privatizing many state enterprises. Became President of Turkey in November 9th, 1989 until April 17th, 1993, a time when he died in office. All participants in this meeting agreed that in order “for the nations in the Balkans to join the integration process in the Euro-Atlantic community, first they must establish democratic institutions within their own governments,” otherwise their aspirations to join EU will remain in vein. Initially, Turkey pursued a passive role towards its bilateral relations with Albania. It was in 1990 when Albanian Foreign Affairs Minister visited Ankara and signed two bilateral agreements with the Turkish officials, the first was on postal services and the second was on cultural cooperation. The signing ceremony had certainly helped to warm up the relations between both countries which convinced Ankara to move quickly in intensifying its relations with Albania and play an active role in preserving peace and democracy in the Balkans. The TCG Mareşal Fevzi Çakmak (D 351) was commissioned by the Turkish Navy in September 1973, Previously the ship belonged to the US Navy under the name of USS Charles H. Roan. TCG Çakmak, participated in operation Atilla during the conflict of Cyprus in 1974 and finally was scrapped in April, 1995. Albania was an exception in the Balkans because it did not have diplomatic relations with the Soviet Union, for more than 20 years (since 1968, when Soviet troops invaded Czechoslovakia). In order to exert more leverage in the region, Turkey decided to promote the multilateral diplomacy practice through two regional organizations: The South East European Cooperation (SEEC) process which was established in in July, 1996, in Sofia, Bulgaria during the Foreign Affairs Ministerial Meeting; the Organization of the Black Sea Economic Cooperation founded in June 25th, 1992 in Istanbul, Turkey, at a time when rapid democratic reforms where taking shape in the region. The goals of the organization are to strengthen stability, security, and excellent relations among neighboring countries. During the 1990s, just like Turkey; Albania’s southern neighbor, Greece had its share in identifying and intensifying its relations with many Balkan countries. In front of this situation, in addition to bilateral diplomacy, Turkey used multilateral forums such as the (SEEC) and adopted visionary policies for the Balkans. Kosovo continued to be under the administration of United Nations until its independence in February 17, 2008.